Pre-ordering a game years ago simply meant you were guaranteed a copy of the game at launch. It made sense to pre-order a game, as brick and mortar stores were really the only option to get the hottest games when they first came out. If you liked a game, you pre-ordered it. If you were on the fence, you waited until it comes out so you can hear what your friends think about the game. Word of mouth is the greatest indicator and promotion a game can receive, because if your friends like it you'll be more likely to buy it too. Now though, gamers are being put through the ringer when it comes to what reviews can be trusted or where you're going to pre-order the game from. In that regard, DLC has gotten out of hand, with season passes and certain retail stores getting custom content. Pre-orders in this age of gaming is a tougher choice. Examples of games that had great pre-order bonuses, but proved to be bad choices to pre-order were Assassin’s Creed Unity, Halo: The Master Chief Collection and DriveClub. Were these games just rushed out to meet a sales date for the companies that own them? Or has quality assurance testing just taken a nosedive in importance? For a game like Halo: TMCC to have an unplayable multiplayer aspect is unthinkable; especially considering they started that competitive gameplay aspect on the consoles that drives the likes of the Call of Duty and Battlefield series to this day. Even entries in those two series had their own issues at launch as well. It feels as if annual releases are causing these sort of issues that would normally be caught and fixed with enough time to be overlooked and patched after launch. 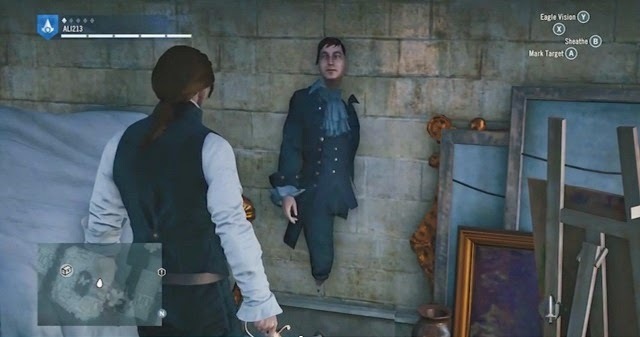 In my playthrough of Assassin’s Creed Unity, I never came across any of the larger issues that plagued the game. I mostly came across freezing issues or getting stuck in a wall and the occasional issue of getting kicked back to the home screen. These are issues that should have been caught or maybe they were, but time was an issue and the thought was to patch them later. 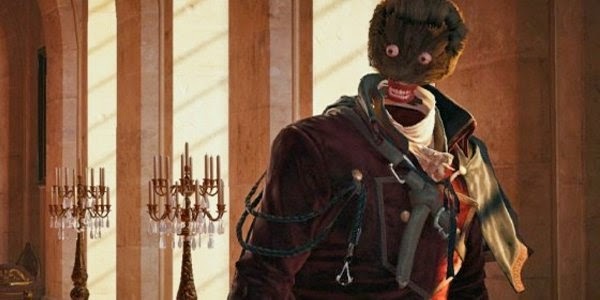 It had gotten so bad that Ubisoft had to give the first bit of DLC for free and offer those who bought the season pass a free game just to appease the masses at a complete failure on their part. Day One patches are becoming more and more common, as companies set firm release dates for games and barring a tragic setback will stick to that date. Thankfully, a number of big titles that were set to come out in the fall of 2014 were pushed back to 2015. This shows a sign that maybe companies are realizing a little more time to polish a game pays off in the long run. A little more development time goes a long way so you don’t have a gigabytes-sized patch on day one. Now after going through all the issues of launching games that aren’t quite ready I get back to pre-order bonus as being the way to sell a game at launch. If the companies putting out these games know that there will be issues or large patches at launch, they take steps to make sure they still have a successful launch. Here is where special DLC and pre-order bonuses come into play. All the different versions of Evolve that are coming out next month really highlight the DLC problem. Each edition has just about the same variation of DLC, with the more expensive options having just that little bit extra. I've been on the fence about this game as I went through the Titanfall hype train and eventually suffered the slowdown of gameplay as the online community moved on to the next new game. Evolve looks great and plays well from the few times I had a chance to get into the Alpha and play a match. I'm just concerned with what replay value there will be or even what sort of game lobby environment there will be a few months. Especially with the online only games (Titanfall, Destiny and Evolve) that require a vibrant and filled gamer base is for these games to thrive. Nowadays, the pre-order bonus is made to be enticing just because of the fact there could be (and probably will be) issues when the game launches or reviews that come through that focus on the bugs. With most companies forcing review embargoes either the day before the game launches or the day of, it makes it tough to get an opinion on a game from someone who has actually played it. Not giving the consumer a chance to make an informed decision makes buying new games tough and makes pre-order bonuses all the more enticing to make you pull the trigger and pre-order. Putting out multiple pre-order bonuses makes it feel like you'll miss out if you don’t pre-order. Some games will sell no matter what is offered as a pre-order bonus because of the fanbase that game has. For others though the pre-order is something needed to get those extra sales for games that once reviewed aren’t going to generate the same numbers. Are pre-order bonuses or season passes going away anytime soon? Quite frankly, no. Publishers have every right to offer DLC as another revenue stream to incentivize their exploration of new IPs. Offering special, retail store specific pre-order bonuses or locking content that is on disc but behind a paywall to cover up a bug-plagued game though is something that needs to be fixed. If you're making such an amazing game, work to make it play correct from day one. It shouldn't need to be patched within a day of it being released. Otherwise, consumers will perceive that you only offered a pre-order bonus to make them buy a buggy game for $60. This year of games is going to require a good hard look at whether pre-ordering a game is necessary. It might make more sense to wait a bit for them to get their act together and fix any issues. There's going to be some fantastic games coming out this year that are sure to sell tons between pre-orders and post-launch. With plenty of games out there vying for our gaming dollars this coming year gamers will have to make sure they aren't lead on by a pre-order bonus for a game that is going to be plagued by shoddy craftsmanship.